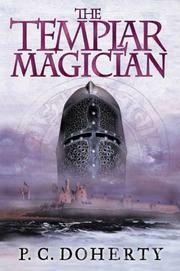 A dedicated member of the Knights Templar is caught up in a mystery he feels obliged to solve. When Edmund de Payens, the great-nephew of the Templars’ founder, and his fellow knight, Englishman Philip Mayele, are given the job of protecting Count Raymond, they fail miserably. The Count is murdered before their eyes in the streets of Tripoli, and a horrendous bloodbath ensues. After they’re punished by the Grand Master, Bertrand Tremelai, the two knights, together with the mysterious Thierry Parmenio, are sent on a mission to visit the leader of the Assassins in a remote, stunningly beautiful fortress high in the hills of Outremer (modern-day Palestine). Although the group is traveling under safe conduct, Edmund learns that there is a blood feud with his host, who nevertheless provides him with warnings and a coded message he is unable to decipher. Upon their return, the three are almost killed in a fierce battle to take a nearly impregnable fortress. Escaping with their lives, they’re sent to accompany Richard Berrington and his beautiful sister to England, now locked in civil war between rival claimants to the throne, and ordered to warn King Stephen of danger and find the Englishman known as Walkyn, a dangerous killer rumored to have magical powers. Once in England, Edmund, finding death and treason on every street, realizes that he must use every skill he possesses to stay alive and protect the Order of Templars. In a departure from his 14th-century series (Nightshade, 2011, etc. ), Doherty offers up a neatly turned puzzle set in 1152, a period of blood-soaked terror in both England and Palestine.